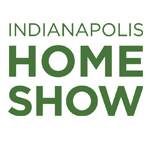 Our Otto’s Streetscape Solutions team has been busy at the 2018 Indianapolis Home Show! On display this year will be our mailboxes, community signage and other street scape products. The show runs from Friday, January 19th through Sunday, January 28th. Come and visit Raychel, Andrea, and Hilary at booth #8327. You can now find us near the entrance of the centerpiece home. Be sure to stop by and say “Hello” to receive a 10% discount on all orders placed during the show!